It has been a long time since I’ve had a minute to write a new blog. It has been a tad chaotic here. I have gone into partnership with one of my friends, Leanne, who is also one of my sugarcraft students. We have opened our own Sugarcraft school! Everything happened really quickly! From making the decision, getting the funding and then literally building our kitchen and classroom from scratch! It has been really hard work but I love it! I have space to work on my cakes and we can teach what we what, when we want! This little recipe is a personal favourite of mine. As I’ve mentioned before I’m not a fan of cupcakes but this one I like. 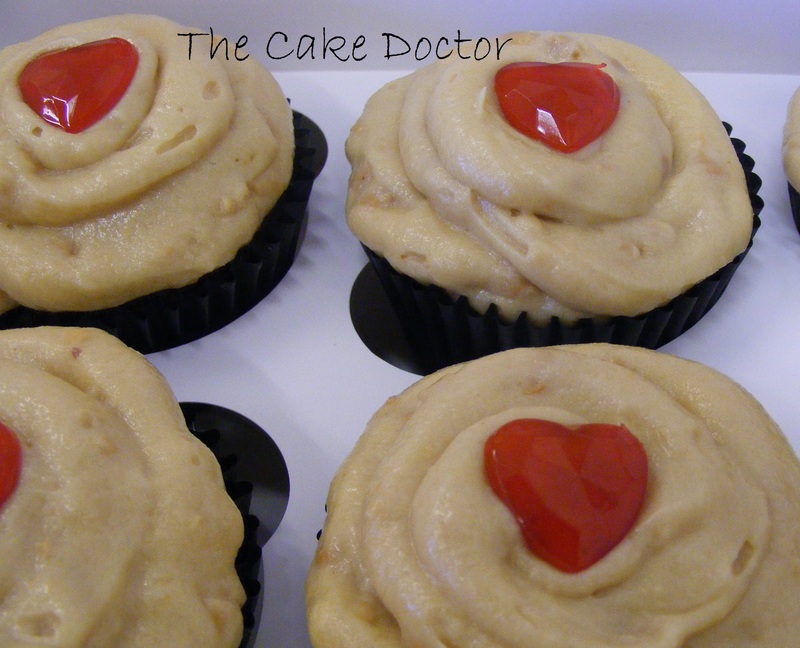 The peanut butter frosting is absolutely divine! The combination of soft, rich chocolate sponge and the salty, sweet peanut buttercream is very reminiscent of Reese’s Peanut Buttercups. Naughty but nice! The cupcakes are made with the all in one method so shove everything in a bowl and mix together until you have a smooth batter. To make the buttercream beat all the ingredients together and mix until lovely and smooth. You may need to add a touch more milk if the icing is a little on the stiff side.